Low Side Separator designed and manufactured by I.T.C. follows the ASME Section VIII Division 1 requirement as guideline. All the vessels are made of A516-Gr70 metal sheet (ASTM standard) and normalzed for operating temperature below -30 C. There are vertical (LPRV series) and horizontal (LPRH series) tpyes to suit the installation area. Third party inspection can be accomplished as per Body_1itional extra cost. 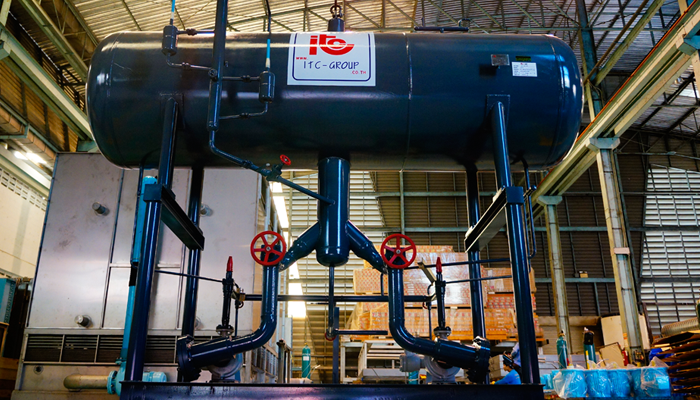 The ITC’s Low Side Pressure Separator is a highly specialized design which follows the ASME (American Society of Mechanical Engineers) Section VIIl Division 1 requirements. All vessels are made from A516-Gr70 metal sheet (ASTM standard) and can be operated below –30℃. When applied in low side pressure circulation, it can regulate ammonia to be at appropriate level. 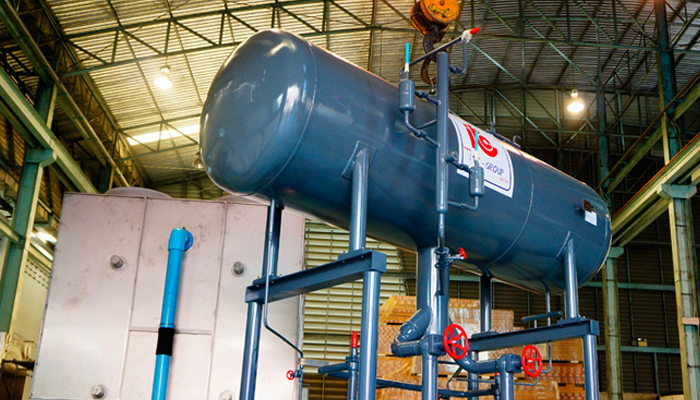 It consists of 25% of liquid ammonia and 75% free spaces for letting ammonia expand or convert to gaseous form. In addition, there is a Magnetic Will Close Contact, which control liquid gradient inside the vessel. Once the liquid rises to 50% of the total amount, immediately it will automatically shut down the system. Also, the relief valve will banish the pressure rising over 15 Bars to protect the system from liquid ammonia expansion. Moreover, the ammonia pump (optional) will force the ammonia to circulate inside the refrigeration system. Besides these phenomenal features, its control panel which consists of the dry run protection, TRG meter and starter can secure the temperature monitoring, alarm, flow rate as well as the level of liquid circulation. Hence, due to its high durability and efficiency with reasonable price, we would like to recommend you this Low Side Pressure Separator, which certainly will drive your business to a great achievement.